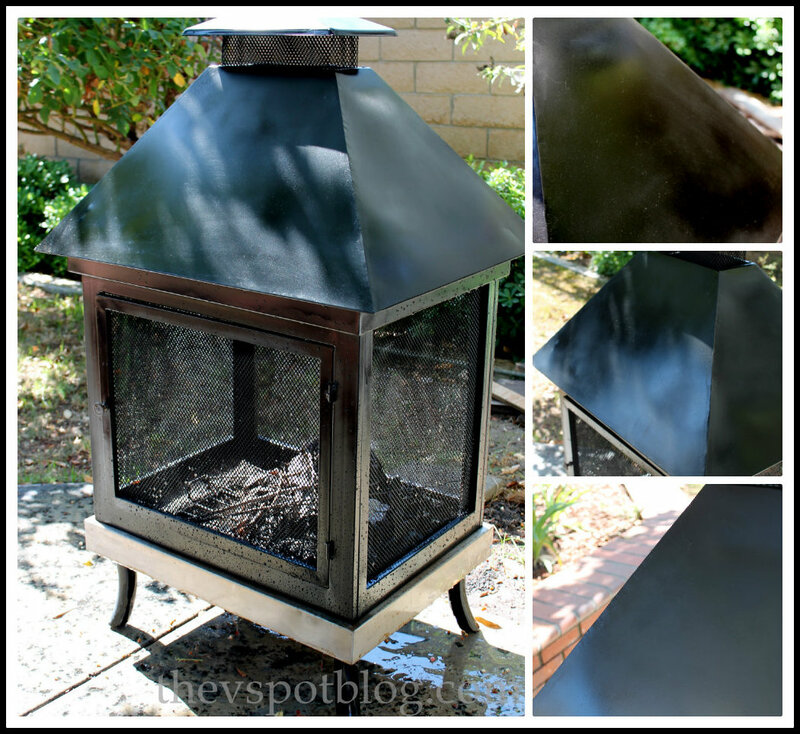 Freshen up a fire pit with high heat spray paint. 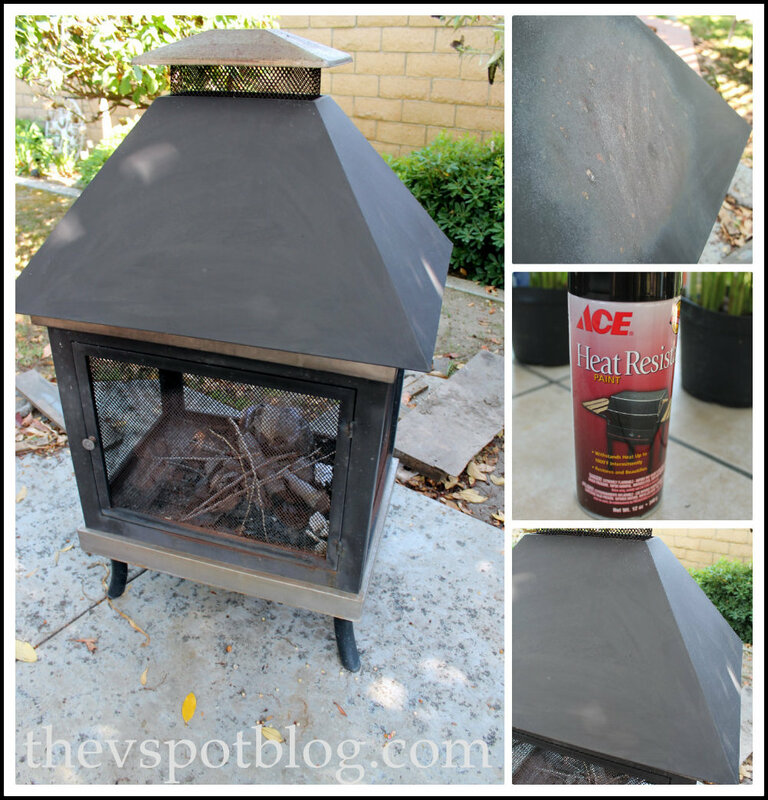 We have a free standing fire pit that we love to use. However, while sitting out on our patio 24/7 for several years, the paint begins to oxidize and get faded over the years, and rust spots crop up here and there. The solution? High heat spray paint. Loosen any flaking pieces of paint and remove. Wipe down the entire area. Follow directions on the can and spray in nice even strokes. Easy update for less than $5. Me likey. 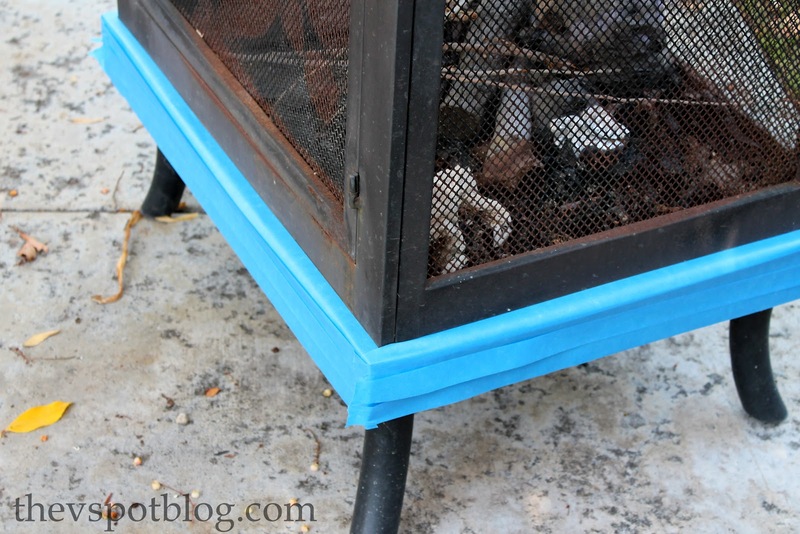 What can you spruce up using high heat paint? We are definitely in need of doing this! Yours turned out great! The stove looks great all spruced up. I’ve been slowly repainting rooms in my house and one thing that was bothering me most was the condition of my baseboard heaters. They got a bit scratched up over the years and were a bit on an eyesore compared to the freshly painted walls. I dismantled them and sprayed them with white high-temp paint. They look so much better. I’m not sure if they actually get hot enough to demand the high-temp paint but I didn’t want to find out the hard way that regular paint wasn’t enough.